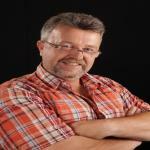 Sign up for Broadjam today to follow Oleg Kharitonov, and be notified when they upload new stuff or update their news! 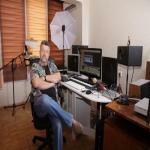 Oleg Kharitonov - famous Ukrainian composer, arranger & sound producer. He is author of more than 400 songs, many of which became widely loved hits. Since 1997 songs of Oleg Kharitonov wins regularly "Hit of the Year", participates and wins in many prestigious music competitions and festivals. In his work Oleg Kharitonov is not limited to the genre of song - he is also writes instrumental music in the styles of R & B, funk, fusion, smooth-jazz, soul, etc., works over musical ideas for movie-projects. "Songs for Stars and for those, who dreams become The Star"